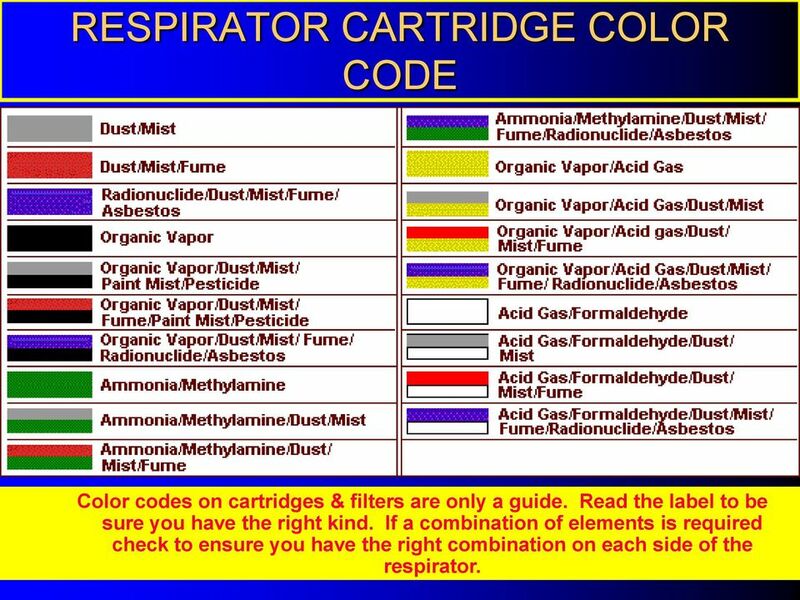 19 RESPIRATOR CARTRIDGE COLOR CODE Color codes on cartridges & filters are only a guide. 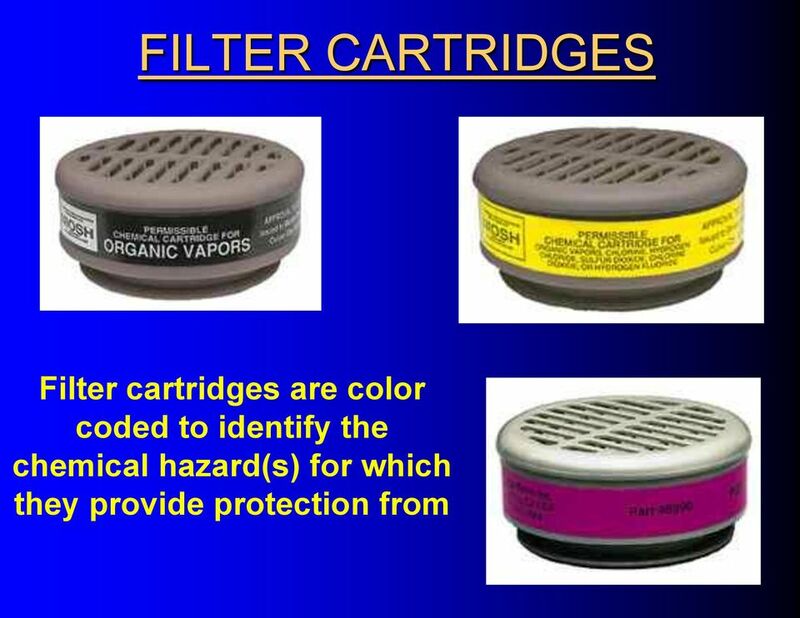 Read the label to be sure you have the right kind. 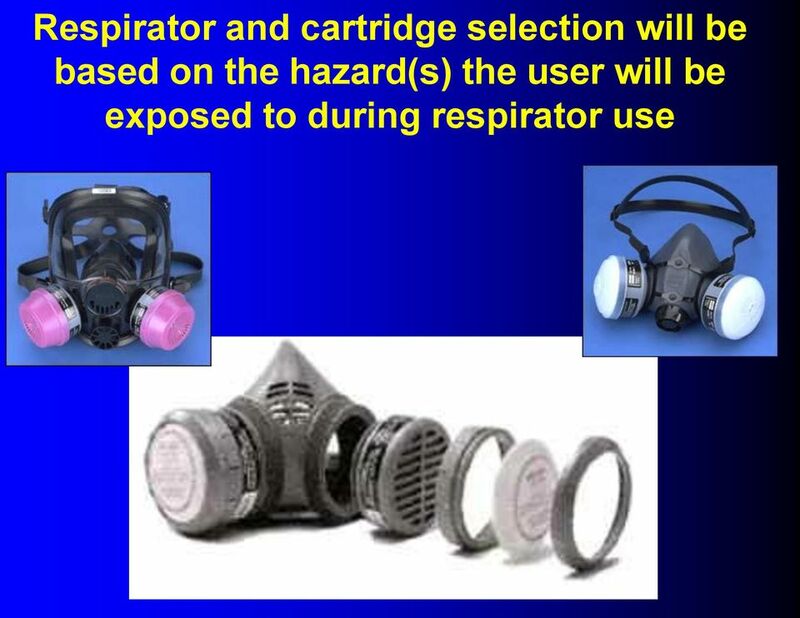 If a combination of elements is required check to ensure you have the right combination on each side of the respirator. 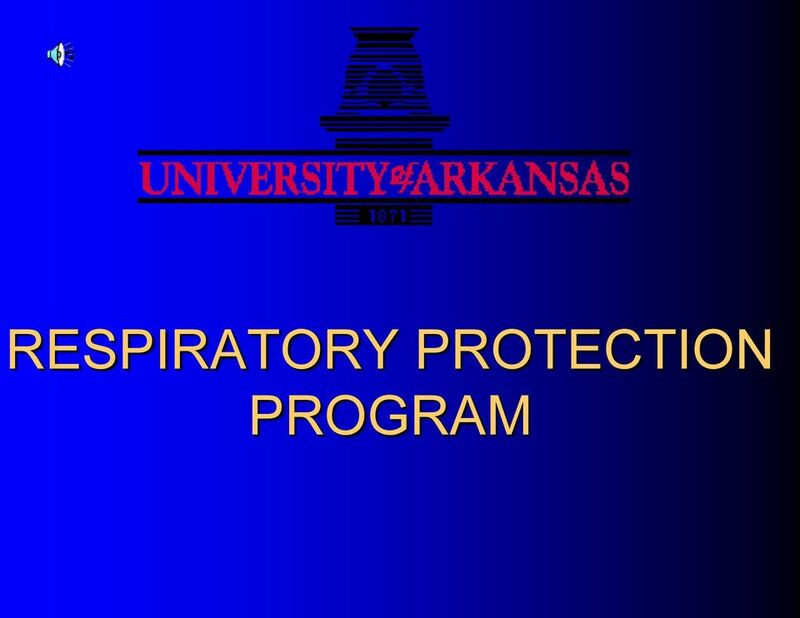 EMS RESPIRATORY PROTECTION FOR INFECTION CONTROL FREQUENTLY ASKED QUESTIONS 2. 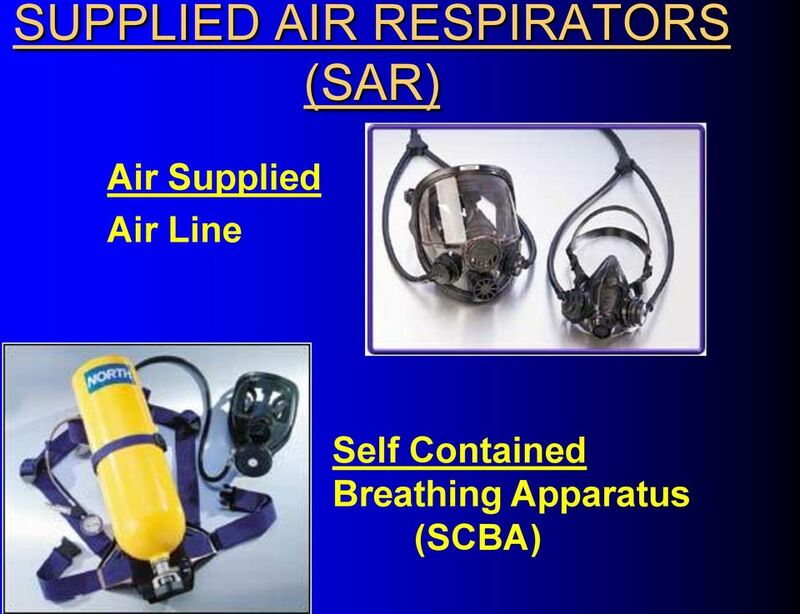 WHERE/WHEN IS REPIRATORY PROTECTION NEEDED FOR EMS PERSONNEL? 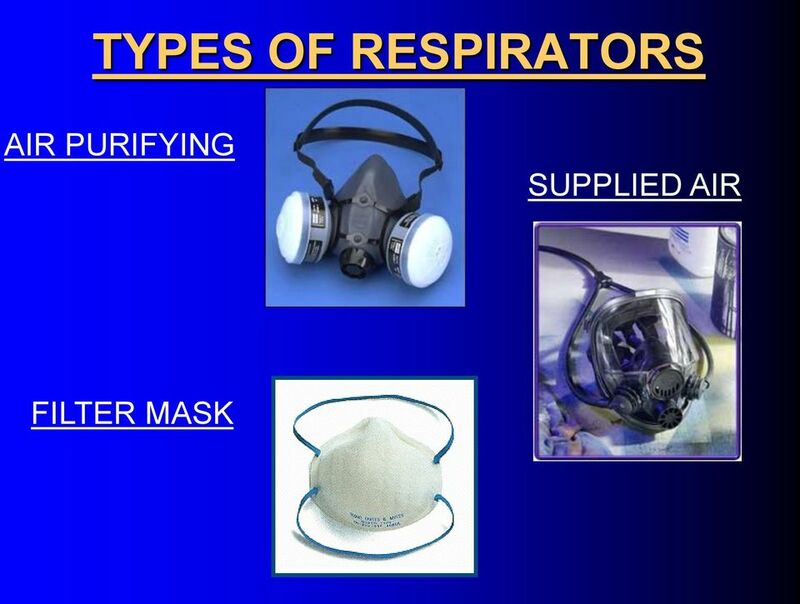 ARE THE DIFFERENT TYPES OF RESPIRATORS? 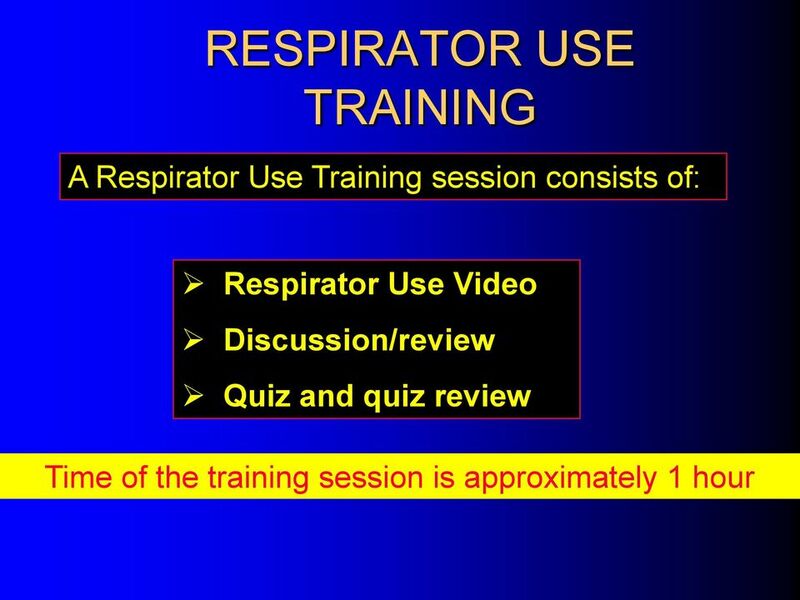 RESPIRATOR TRAINING HANDBOOK HALF/FULL FACE GENERAL INFORMATION A respirator is a device that protects an individual from the inhalation of harmful airborne substances and/or an oxygen-deficient atmosphere. 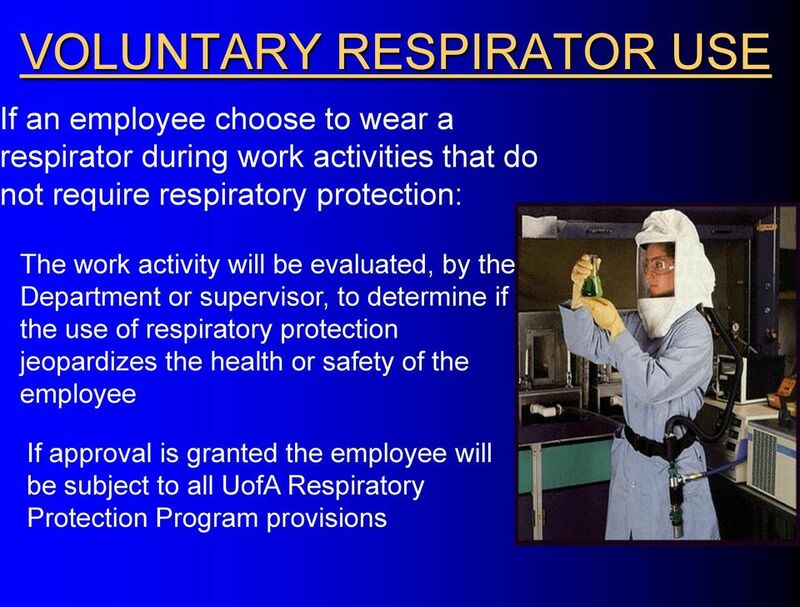 The University will meet or exceed the legislated requirements made under the Alberta Occupational Health and Safety Act, Regulation and Code. 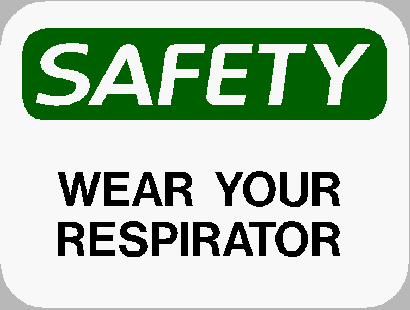 Safety Training Topic PERSONAL PROTECTIVE EQUIPMENT Purpose of Meeting To remind workers that using personal protective equipment (PPE) can protect them from serious injury. 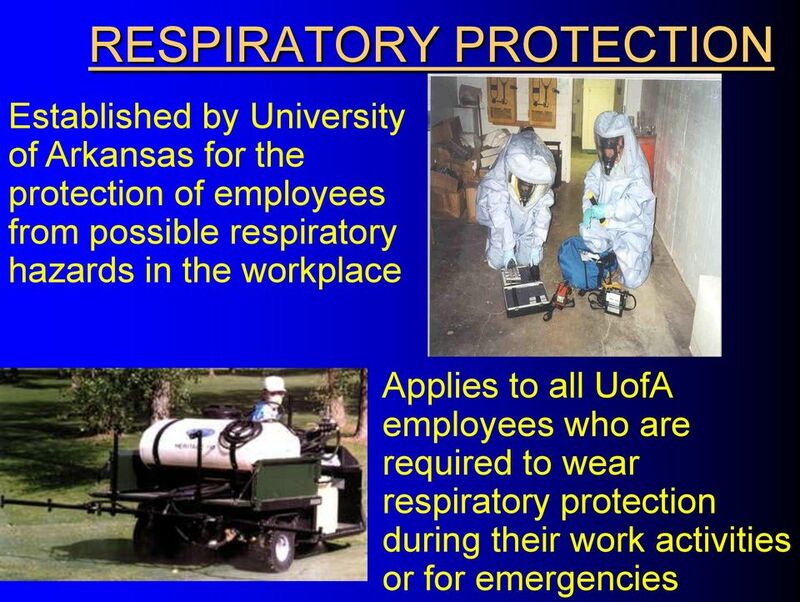 To reince PPE safety rules. 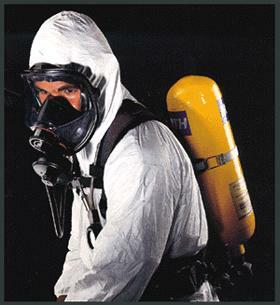 RESPIRATORS AND PPE Protecting yourself on an asbestos job is very important. If the fiber count cannot be lowered by engineering controls and work practices, additional measures will need to be taken. 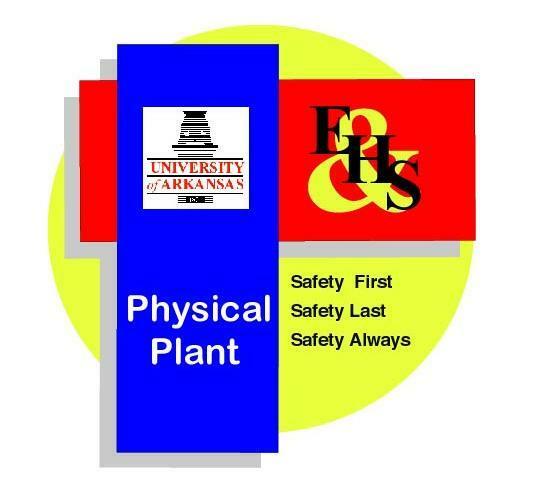 Safety Data Sheet. Product #: 300178. 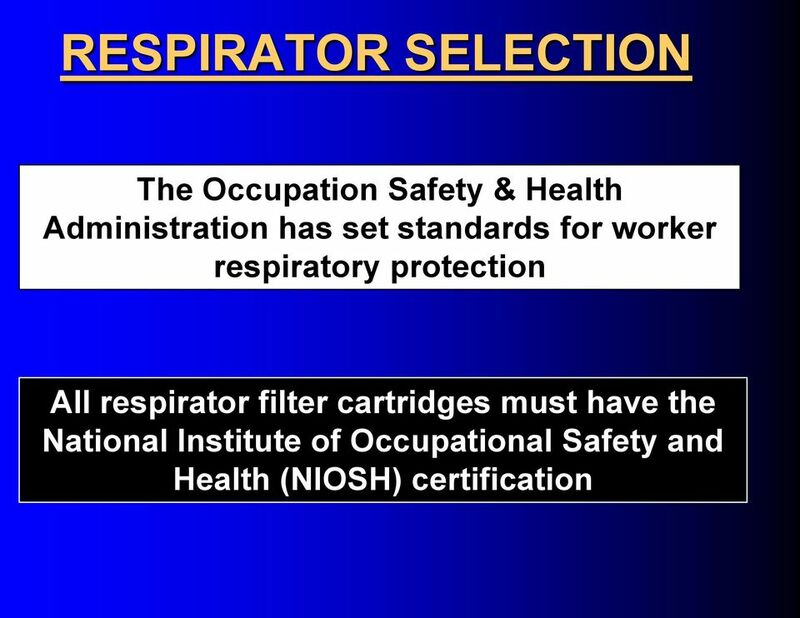 Aspira Scientific 521 Cottonwood Dr. Milpitas, CA 95035 408.571.1100 techsupport@aspirasci.com www.aspirasci. 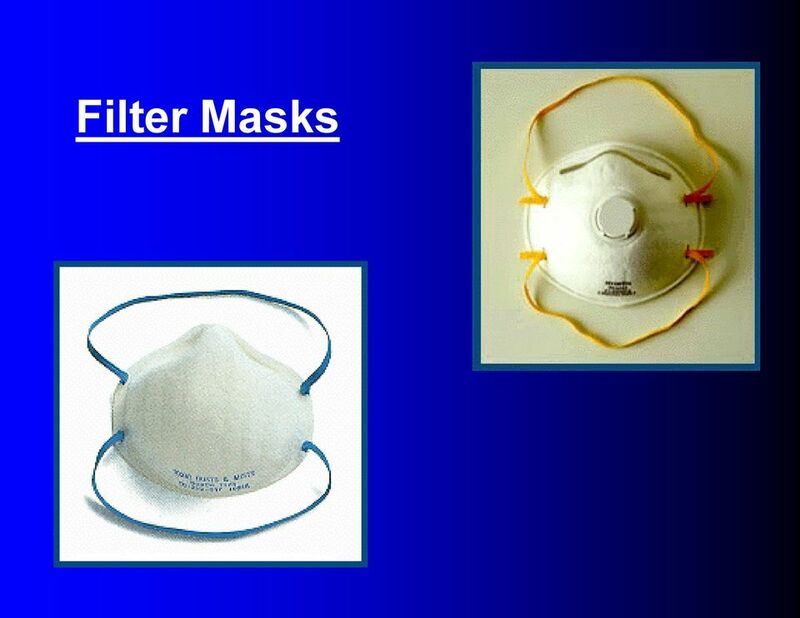 # 231: and Surgical Masks: A Comparison Published: April, 2014 Because certain disposable respirators are similar in appearance to many surgical/procedure masks, their differences are not always well understood. 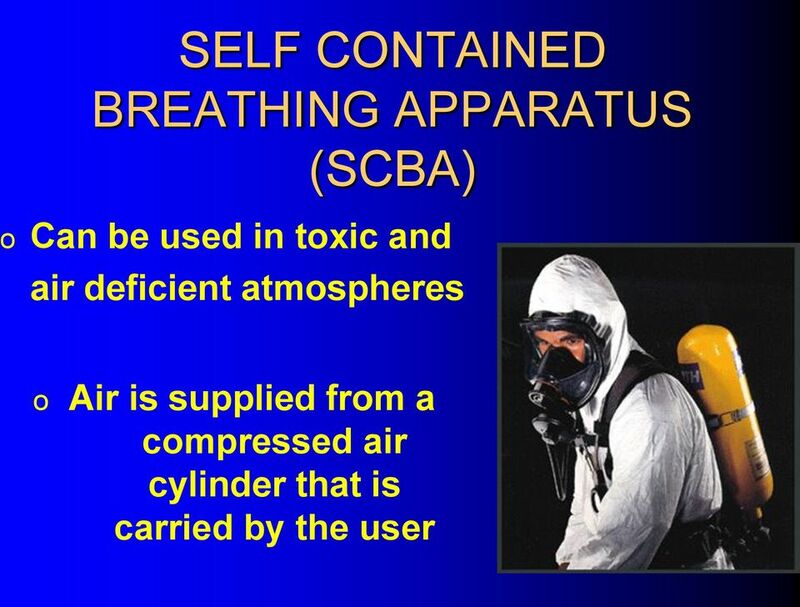 Any room, space or piece of furniture where chemicals are stored for departmental, laboratory or individual use. Alaska. 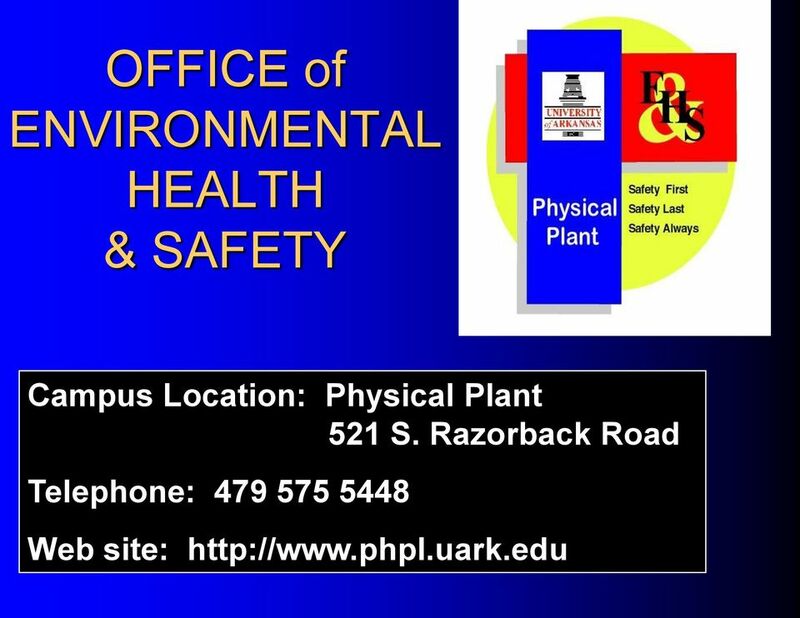 Occupational Safety and Health Standards. quick guide to. 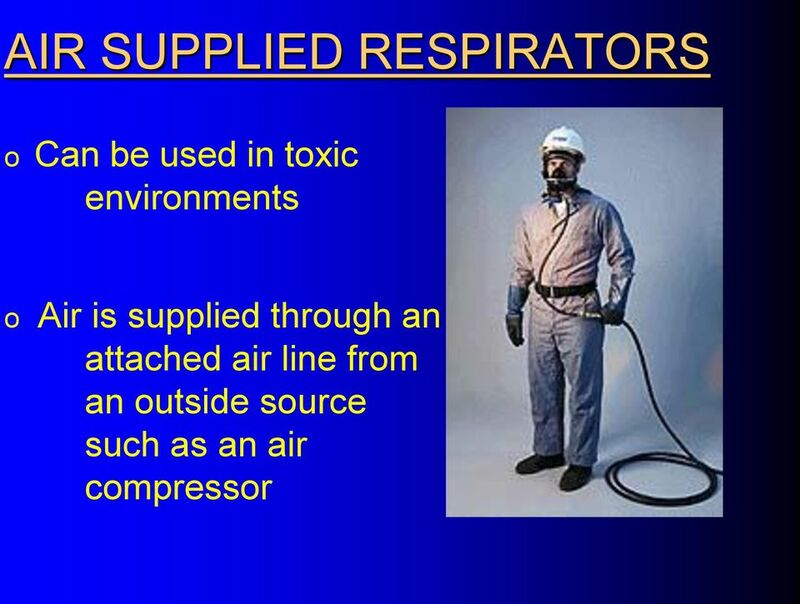 hazard communication for general industry. 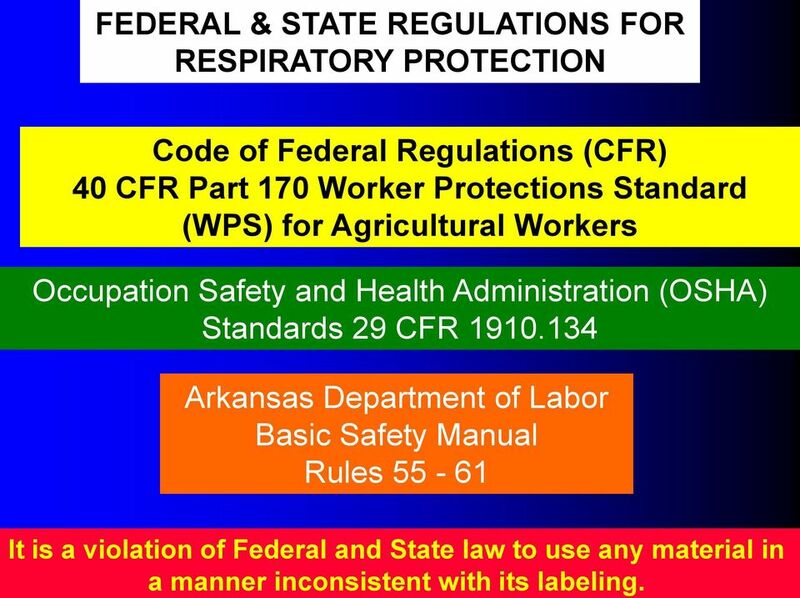 What you should know and not a word more! 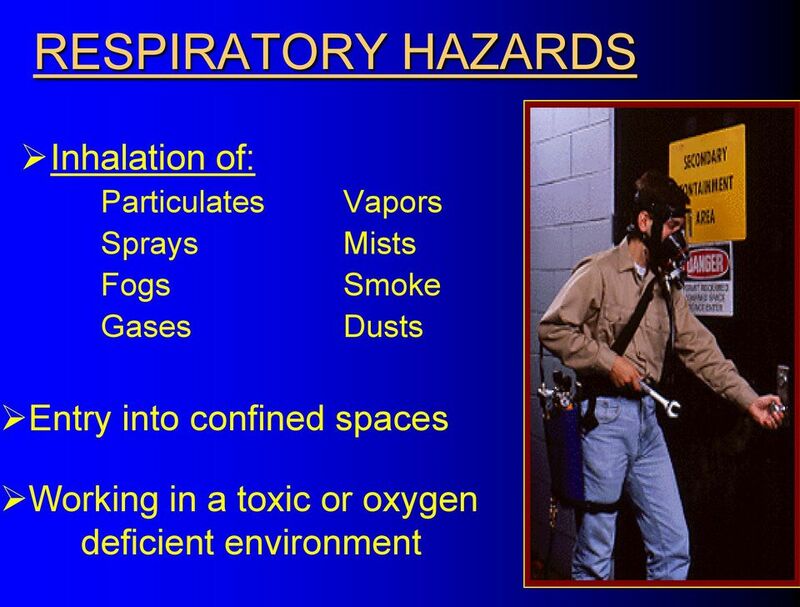 No ingredients are hazardous according to OSHA criteria. 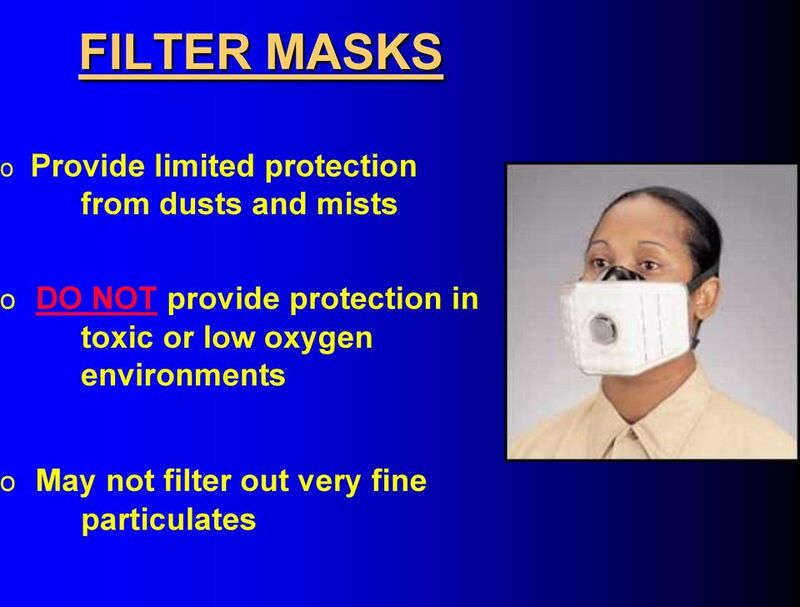 No ingredients No components need to be disclosed according to applicable regulations. 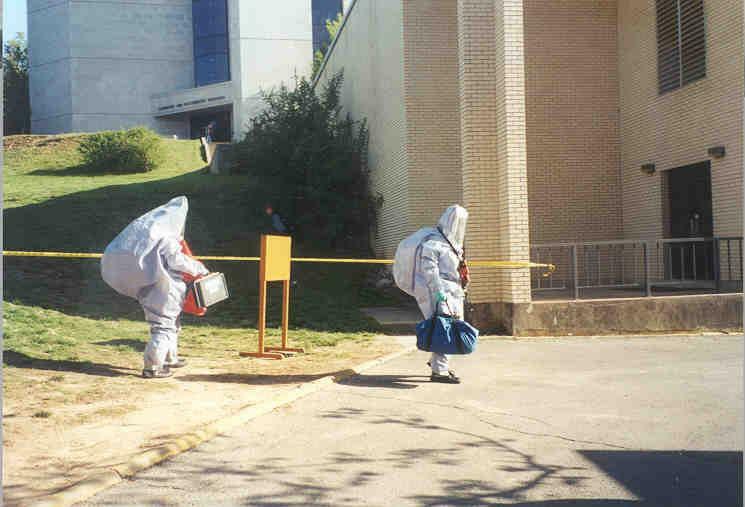 Photographs provided courtesy of TSI, Scott Health and Safety and 3M. 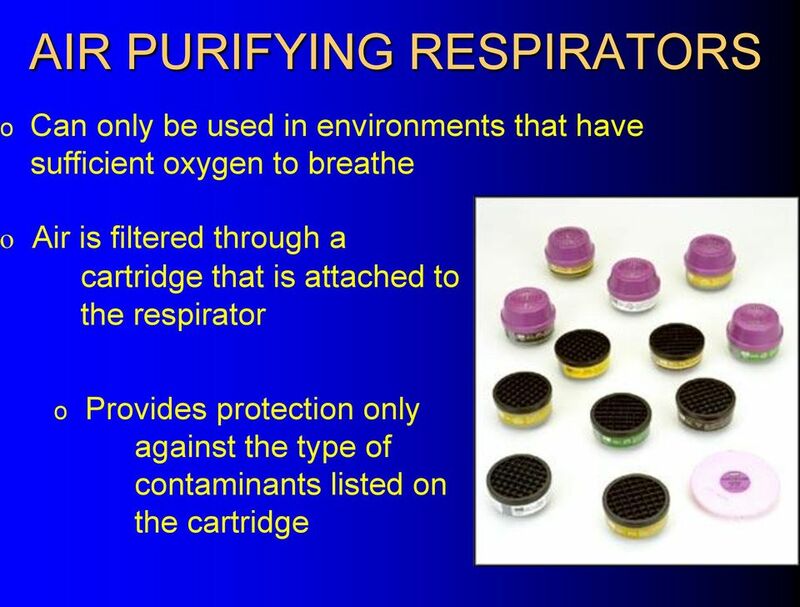 Air Purifying Respirators 1 What is a PAPR? 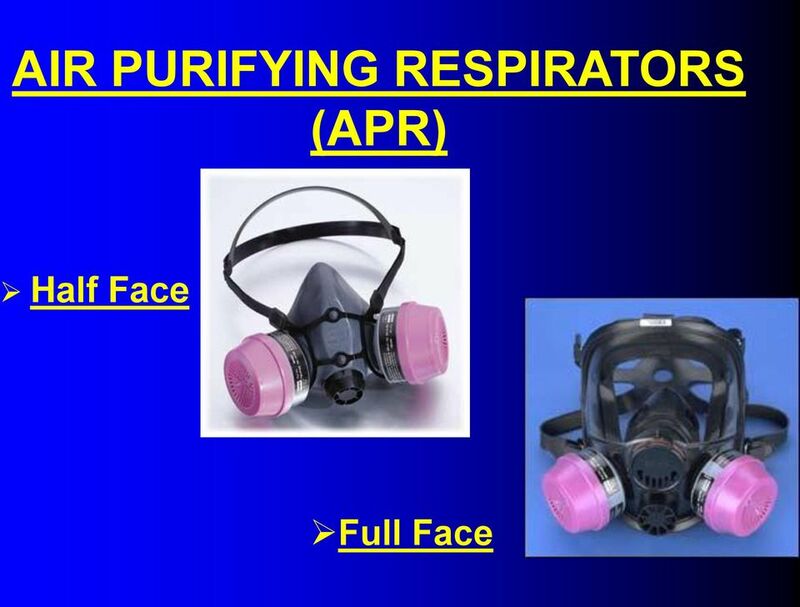 The equipment is battery operated, consists of a half or full facepiece or hood, breathing tube, battery-operated blower, and particulate filters (HEPA only). Notes. Material 1. 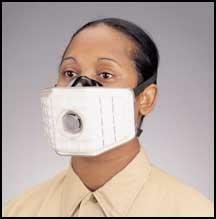 Personal Protective Equipment 2. 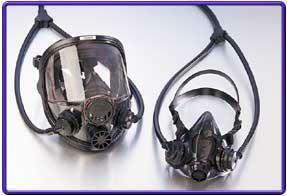 PERSONAL PROTECTIVE EQUIPMENT (PPE) 1. 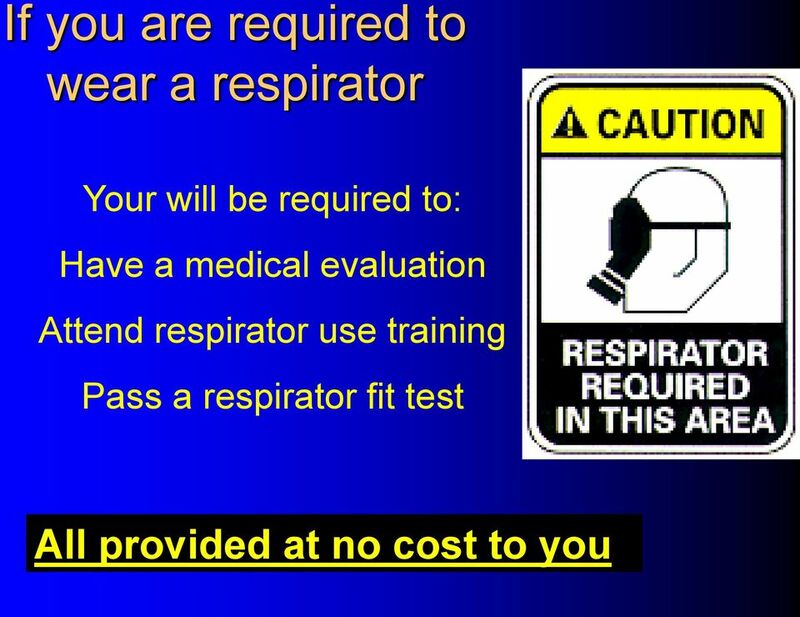 PURPOSE The purpose of this policy is to establish standards for the use, care and maintenance of Personal Protective Equipment (PPE) by Okaloosa County employees.